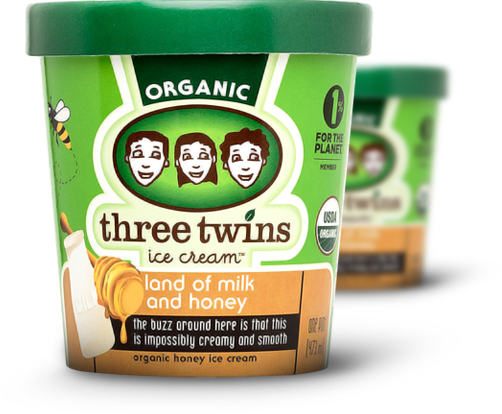 Three Twins uses only ingredients produced by organic agricultural techniques, with fresh cream and milk generated from within a 17-mile (27km) radius of the company’s plant in California. It is known for its natural and original flavors and it is stabilizer-free and coloring-free. 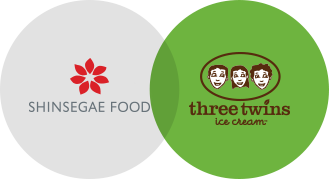 Three Twins Ice Cream is currently donating 1% of its earnings for the protection of the environment, as a member of the "1% For the Planet Campaign". It is an environment-friendly company that raises funds to protect forests around the world, and donates a portion of all earnings to this cause by implementing an innovative program called 'Ice Cream for Acres'. Shinsegae Food established an exclusive partnership with Three Twins in 2013, to sell its products in the Shinsegae Department Store, SSG Food Market and E-Mart.